With the dance of the Glasses enjoyment and fun are closely connected. 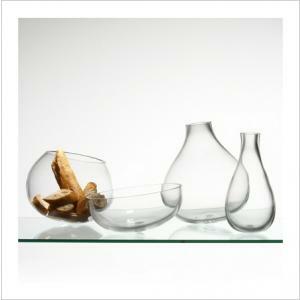 Mouth-blown glasses, bowls, vases and carafes, with seductive movements they circle around their own centre of gravity. "Tanz der Gläser" Dance of the Glasses is a series of mouth-blown drinking-glasses, carafes and vases, which circle around their own centre of gravity with seductive movements. Playing with the glasses, enjoyment and fun are closely connected. 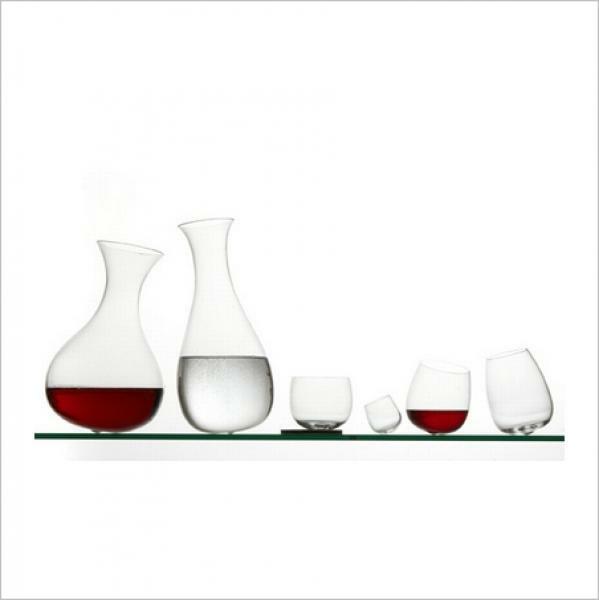 This collection includes 2 carafes, Bertha broad and bulbous and Karl small but tall. 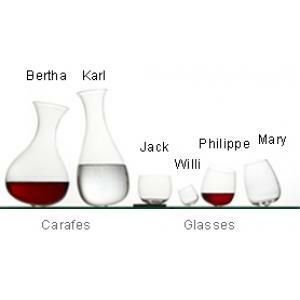 4 glasses Jack, Willi, Philippe and Mary. 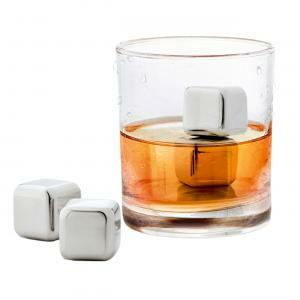 There are also felt coasters for each glass in various shapes and colors, separately packed in the presentation box. 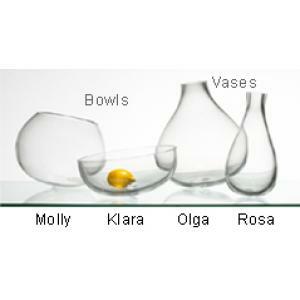 2 bowls Molly and Klara. Their luscious shapes, a diameter of 9.8", make them beautiful receptacles for fruit, salads, punch and many other delicious things. 2 vases Olga and Rosa. Whether you use them as a vase or a receptacle or just as a decoration, they are ready for anything! Their height about 11.8" and a diameter of 9.8".